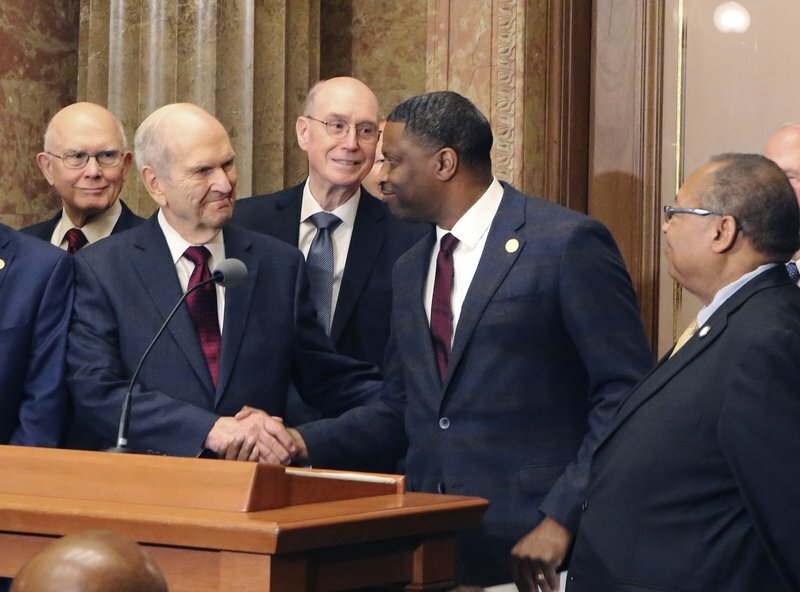 The Mormon church on Friday celebrated the 40th anniversary of reversing its ban on black people serving in the lay priesthood, going on missions or getting married in temples, rekindling debate about one of the faith’s most sensitive topics. “A lot of members are waiting for the church just to say, ‘We were wrong,’” said Phylicia Norris-Jimenez, a 30-year-old black Mormon and member of the grass-roots Black LDS Legacy Committee, a group of women who are organizing a conference Saturday in Utah to honor the legacy of black Mormon pioneers. The theme of the anniversary celebration in Salt Lake City was “Be one,” a reference to a Mormon scripture. Gladys Knight, one of the most famous black Mormons, performed, and top church leaders gave speeches.